Do you need a Tree Survey before you apply for Planning Permission? Are you the owner, occupier or manager of land with trees on it? Have you ever had your trees surveyed to ensure they're safe? Maybe you should - it's your responsibility! Do you want a tree reducing in height or width? Do you want your tree removing? Local tree surgeon and consultant services Staffordshire: Tree Heritage in Leek, North Staffordshire are a long-established, family firm of tree surgeons and arboricultural consultants. We work in areas covering Staffordshire, Cheshire, Derbyshire, Lancashire, Birmingham and the rest of the Midlands. However, we’ve been known to do Tree Surveys in London if necessary! We are Arboricultural Association Approved Contractors, members of ISA – International Society of Arboriculture, we are certified by Constructionline and are CHAS Accredited. All our staff are fully trained and hold NPTC certificates and qualifications, using the latest techniques and equipment. All work is carried out to British Standard 3998. 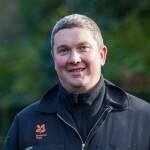 "Tree Heritage have been involved with Biddulph Grange Garden since the National Trust took over in the late 1980's. Because of this long-term link, every member of the team from Hugh and his son Ben, to the lads on the ground, have great passion for and understanding of the garden. They are who I contact every time I need anything tree-related - whether it's a massive clearance of Rhododendrons or some reassuring advise about a tree that's looking sickly, I phone Hugh!" "Your skilful and knowledgeable team shaped and thinned our precious garden trees whilst maintaining the true beauty and character of them. A pleasure to witness - thank you very much indeed." "My husband and I thank you very much for the professional way in which the job was carried out and what a pleasure it was to have four such nice young men working for us. I am sure we will be calling on your services again some time next year." "I would like to thank your company for a professional service. It was a pleasure to witness superb teamwork on site by well trained and courteous young men. My garden has had a new lease of life thanks to your recommendations. I will certainly use you again and recommend you to others."